The first thing that the Blue House video crew noticed when walking into the Tulsa Girls Art School was the lively sound of bustling creativity. Several art instructors and students circled around many different art projects and tables and discussed ideas. Laughter abounded while students put paintbrushes, beads and colorful mosaic tiles to work. The Tulsa Girls Art School, located on Admiral Boulevard, “empowers underserved girls through visual arts education in a supportive environment teaching financial management and life skills.” Founded by Matt Moffett and Mona Pittenger in 2007, the school includes instructor, Amanda Mead, as well as community artists who volunteer their time and expertise to share their knowledge & talent with students. Girls can attend the program year round and learn several art mediums, such as painting, sculpting, glass blowing and ceramics. 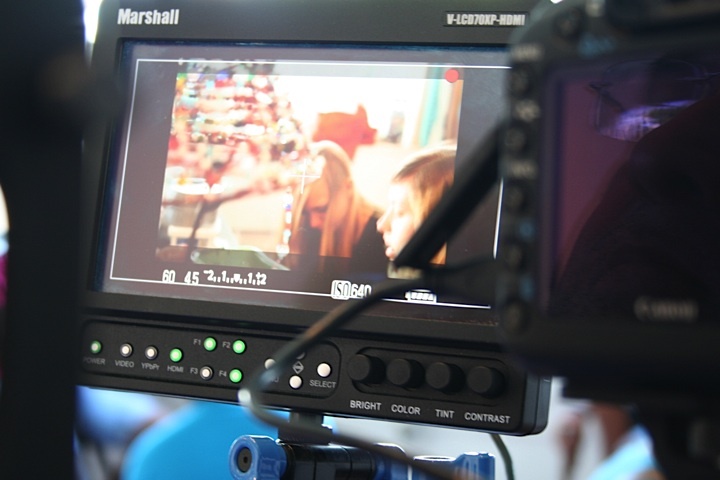 All of Blue House Media’s film productions are shot in crisp 1080pHD on Canon 5Ds with prime lenses. Blue House Media continues the ongoing effort to support community non-profits by filming a documentary-style promotional video for the Tulsa Girls Art School to use during their fundraiser this October. Joel Wade, Blue House Media’s Creative Director and Owner, believes that filming these stories is a great way to show how people in the community benefit from non-profit organizations. “The arts are close to our hearts. The need to support the growth and encouragement of new artists is what we do”, he says. For more information on Tulsa Girls Art School, please visit www.tulsagirlsartschool.com. And YouTube Channel at (http://www.youtube.com/user/bluehousemedia) to see additional videos. 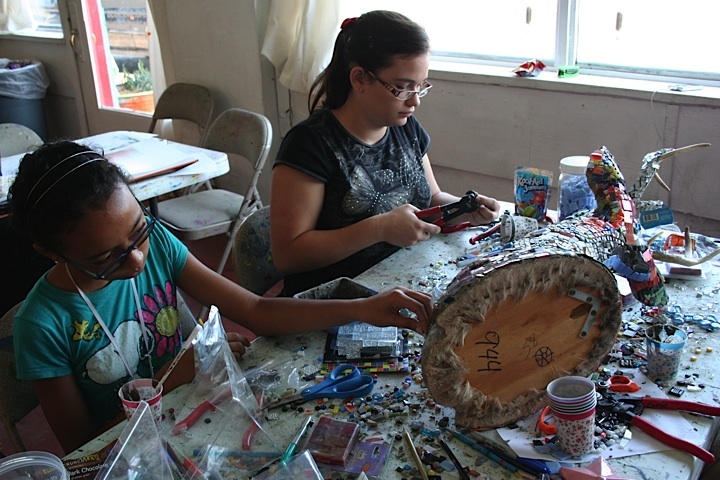 11-year-old Jerica Clapp and 16-year-old Amanda Zimmerman spend their second day working on a mosaic sculpture of a deer head. A student of TGAS for the past six years, Amanda describes the studio as “a lot better, a lot more fun” than school.